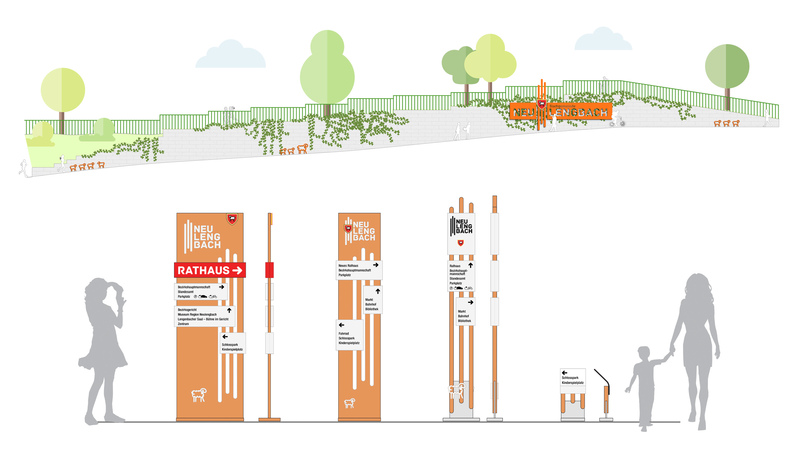 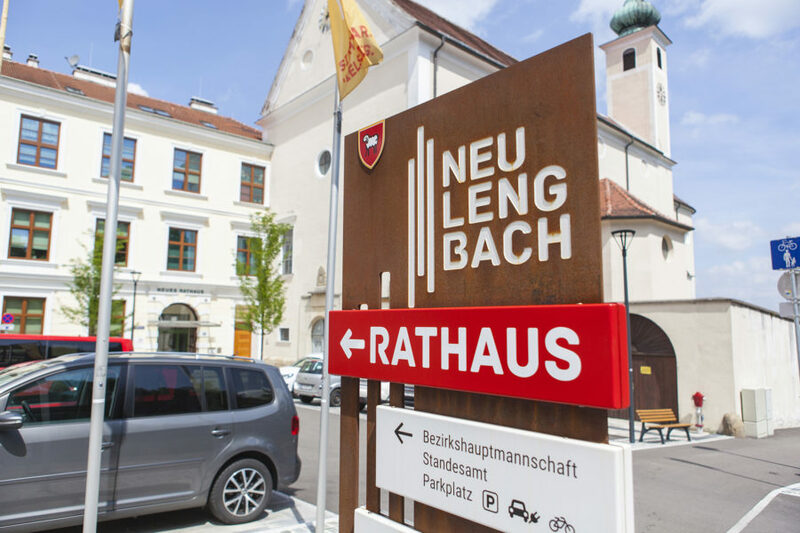 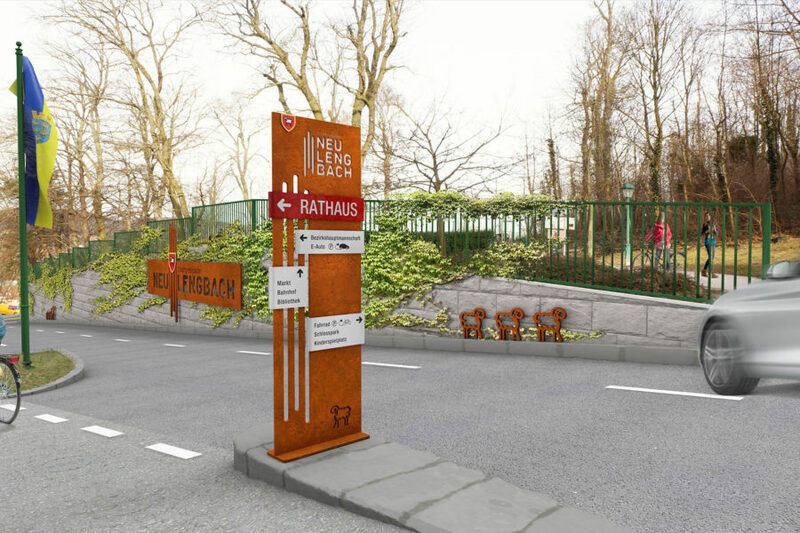 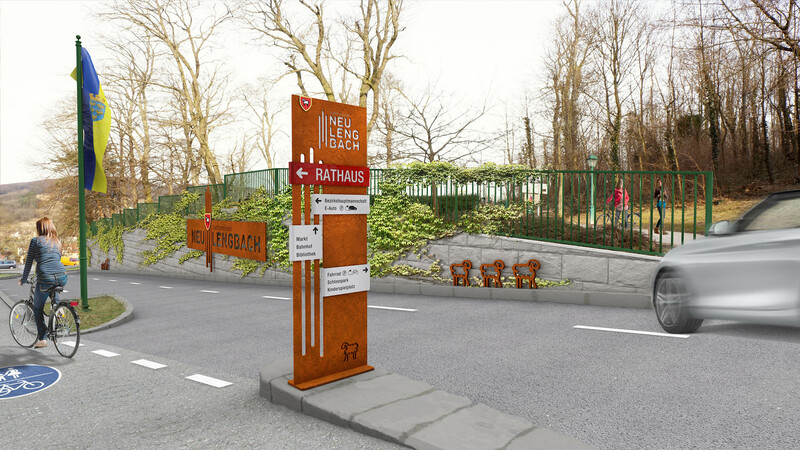 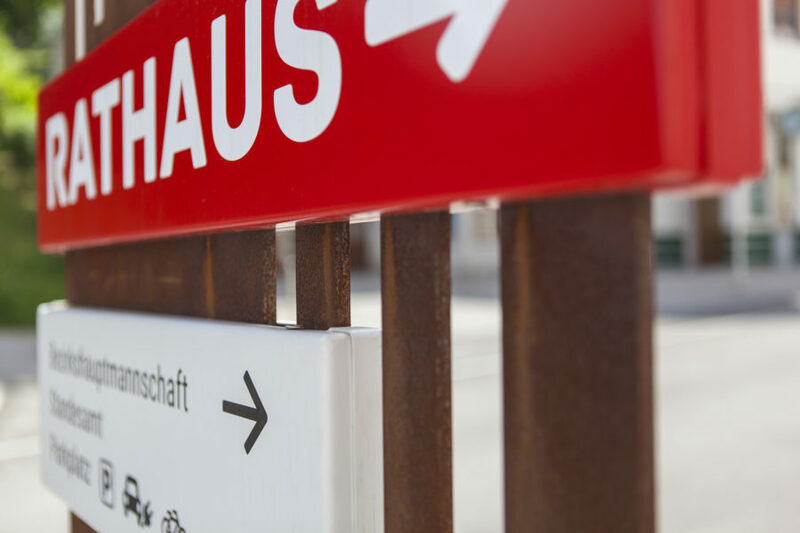 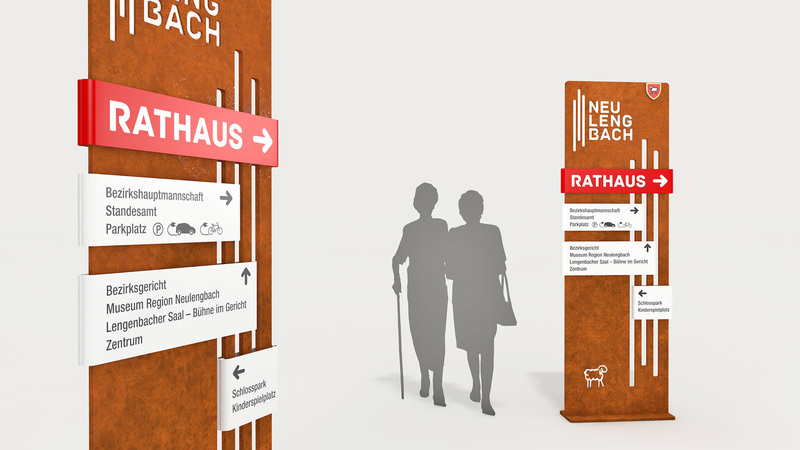 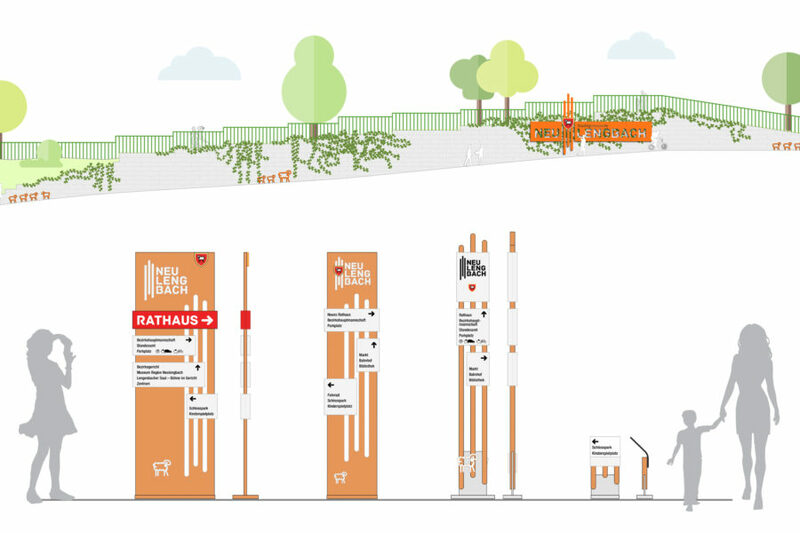 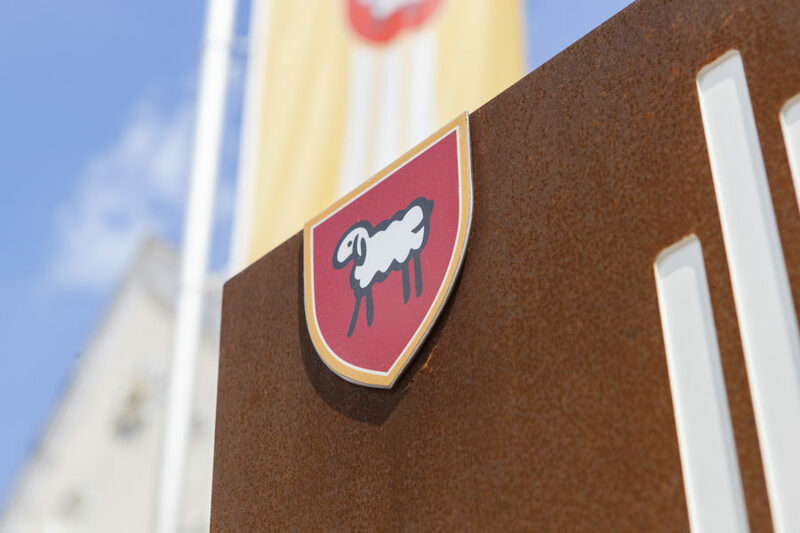 Exterior way finding system for the city of Neulengbach. 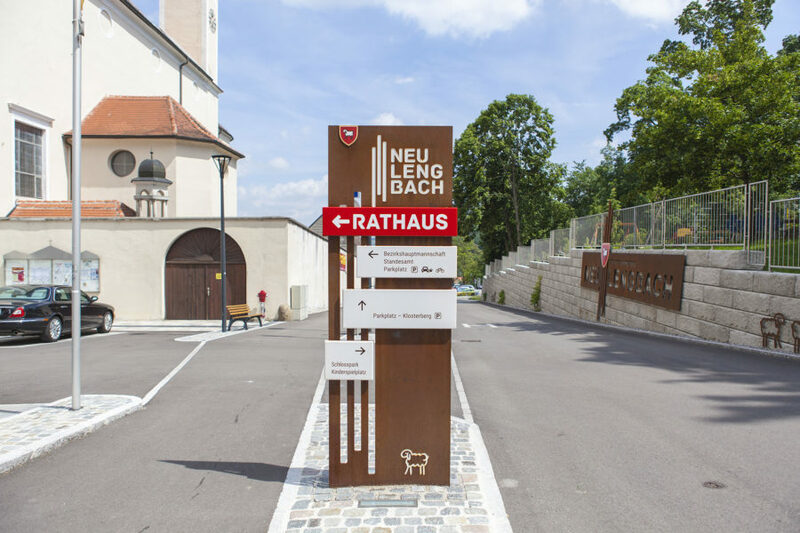 The infoboard ist made out of weathering steel. 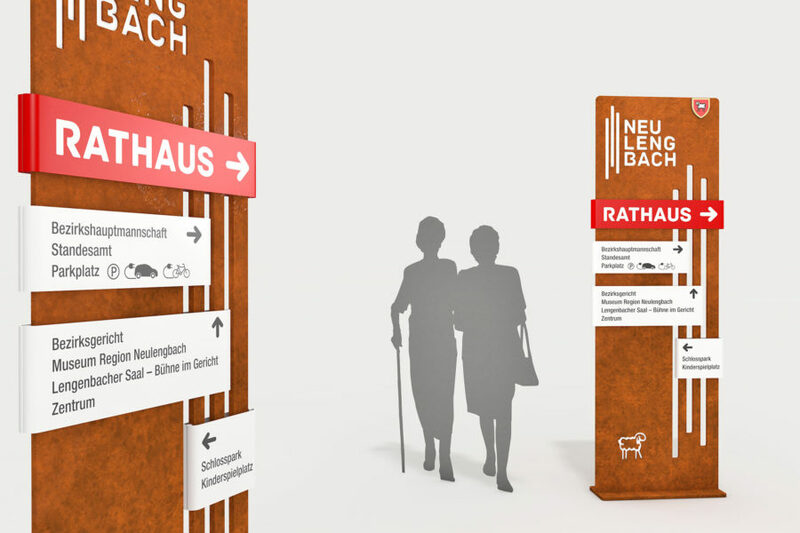 Variable directional signs are bended around the board.